We ship in a variety of different methods including UPS Ground, Fed Ex Ground, Fed Ex Express, USPS, Pallets via Truck, and more. We strive to create custom solutions that work best for all involved. Please contact your account manager to create your solution or if you have any questions. Please note we are currently only shipping within the United States (Including Alaska and Hawaii). 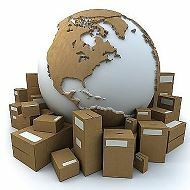 As a wholesale distributor, we do not generally accept returns on merchandise. For damaged products or special circumstances, Please contact your account manager.